Child’s Play is getting a theatrical reboot in June. However, we’ll be seeing a lot more of Charles Lee “Chucky” Ray outside of the multiplex. Via Deadline, Syfy has acquired the rights to produce a TV series starring the horror genre’s favorite killer doll. Franchise creator Don Mancini is overseeing the project for the network. Mancini wrote or co-wrote all seven previous Child’s Play films and directed the three most recent installments. Additionally, Mancini has openly criticized the upcoming reboot because he feels his franchise wasn’t given a proper conclusion. When MGM asked Mancini and original series producer David Kirschner to be executive producers on the new film, they declined. 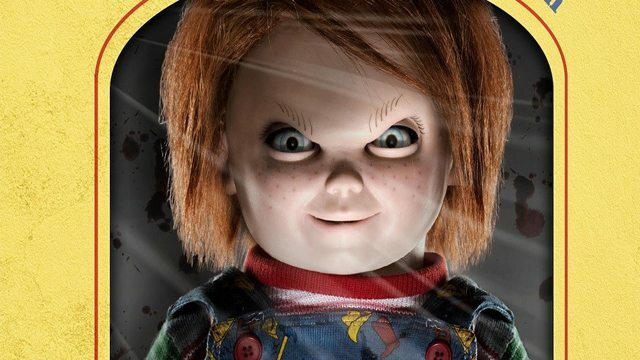 Kirschner is producing the Chucky series alongside Mancini and Nick Antosca. Needless to say, the show will have no connection to the reboot. Chucky is still without a release date. What are your thoughts on the upcoming TV show? Give us your impressions in the comment section below!